Groceries are expensive! It’s a terrible feeling going to the grocery store and paying a fortune and only getting a few things. Well guess what? 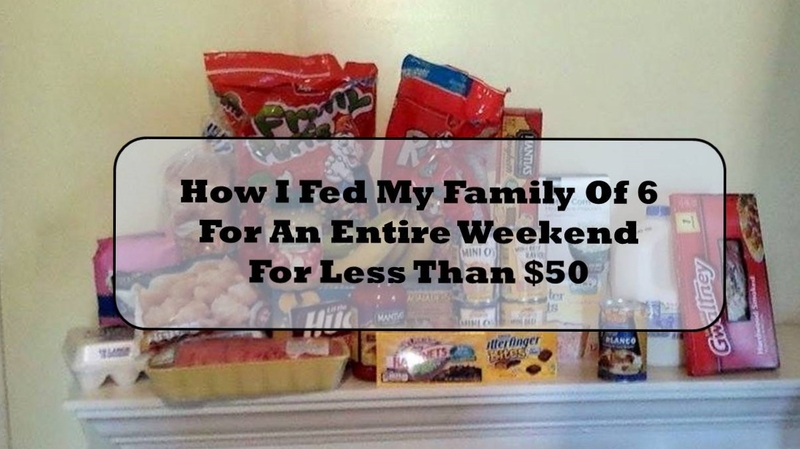 This past weekend I fed my family of six for an entire weekend for less than $50! Yes you correct……I fed six people for three days for less than $50! I was just as shocked as you are. I had forgotten my debit card at home and had $50 in my pocket. I told myself that I was going to make do with that and if I had to go back to the store I would. Well to my surprise I got everything I needed and still had money left over! I don’t know about you but money can be tight in the Thompson household. If you don’t have this problem then kuddos to you but the average American family is in the same boat as us. I try to plan out my meals before I go to the store…this helps cut down on “unnecessary” spending. So last Friday I sat down and planned out the meals and food needed to feed my family for the upcoming weekend. 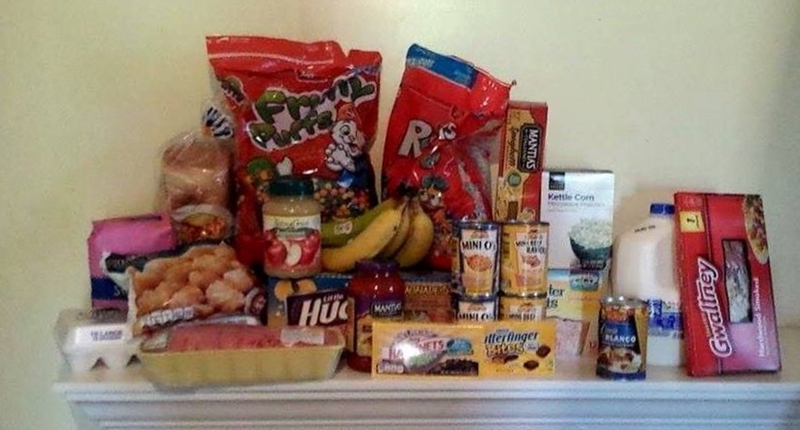 Throughout the week my husband and I don’t eat a whole lot….but the weekends we have the kids I try to stock up. I know that these are not awesome/amazing meals….but let me tell you kids like simple foods. When I try to make new meals that I think will be tasty….the kids don’t like them. So I try to feed them things I know they will like. Believe it or not I got all of this for around $48! I got everything from Save-A-Lot except the queso and popcorn, I got them at the Dollar General. You don’t have to buy name brand. Yes I know sometimes things are better if you buy the name brand but that is not the case for everything. The only thing I have found I have to have name brand is ravioli and spaghetti o’s. I don’t like the sauce in the generic brand. My kids on the other hand don’t mind the generic so I buy theirs at Save-A-Lot. If I buy Chef Boyardee it’s still only $1 a can at the dollar store so it is still relatively cheap. This should be a no-brainer. Cook foods that use very little ingredients or ingredients that are cheap. This could include dishes like spaghetti, tater tot casserole (I’ll have the recipe up tomorrow…check back), chicken and noodles, and chicken and dumplings. When planning my meals for this past weekend I knew I wanted to make the tater tot casserole and spaghetti so I got enough hamburger for both. The pack was only about $10 so it helped that it was cheap and I could split the pack for two meals. Shopping on a budget is never fun. We all wish we could have an endless supply of money….but for the average person this is not the case. It is possible to feed your family on a small budget and still eat well. We still have plenty of food left over that can be used for other things. My kids never complained one time about the food they were eating this weekend. I chose things I knew they would like. Check back the next couple days and get the recipes for the tater tot casserole and the teddy bear toast. What are some other tips you would give other moms on how to grocery shop on a budget?